who continues to support SuckRevs parties! 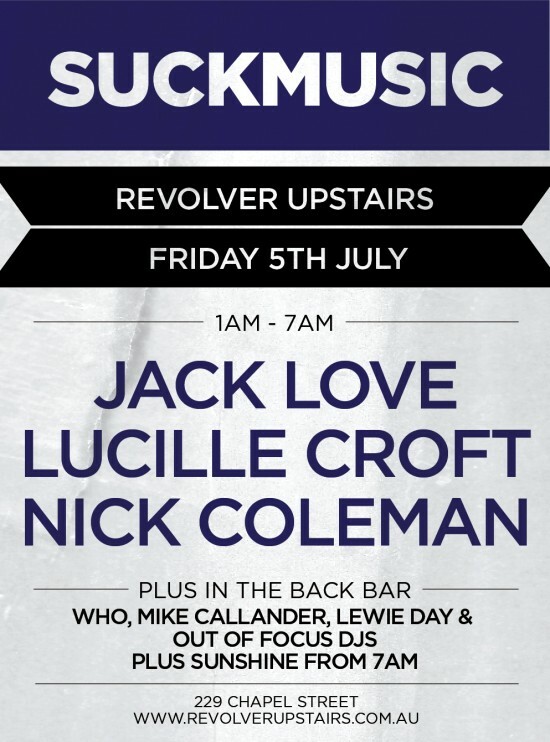 This month Lucille Croft makes her debut alongside Jack Love and Nick Coleman. We have recently signed Jack Loves new single to the label and are pretty excited about it! Looking forward to hearing it out in party mode! !